The mission of Operation Somebody Cares is to print and distribute illustrated tracts so that many may hear the gospel message and accept Jesus as their personal Savior. Our illustrated tracts are in the English, Spanish, Tagalog, Cebuano, Portuguese, Slovak, French, French (for Africa), Romanian, Swahili and Haitian Creole. 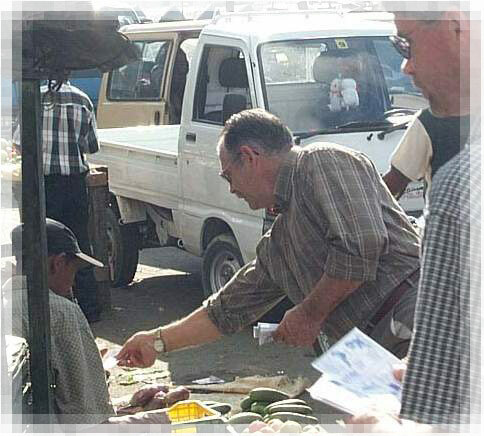 We believe that illustrated gospel tracts get read more often than tracts with no pictures. We believe in the power of the printed Word of God in our illustrated gospel tracts. Read the tract "Am I a Good Person?" in English and Spanish. Read the tract "God's Bridge to Everlasting Life" tract in English. Read the tract "The Big Question" tract in English. Read "What About Tomorrow?" in English and Taking the Next Step discipleship booklet in English and Spanish. You may read online the Illustrated Gospel of Romans in English and Spanish. All content and images on this website are copyrighted. All Rights Reserved. © 2007 - Operation Somebody Cares - Printing and distributing Gospel tracts. Christian cartoon tracts make witnessing easy for anyone, presenting a simple salvation message. No usage or reproduction of any kind is permitted without the prior written consent.